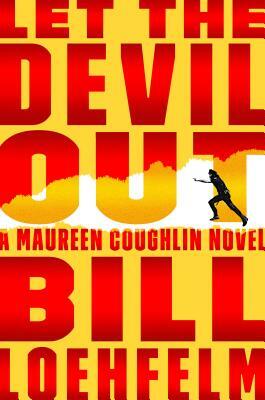 Maureen Coughlin is a rookie beat cop in the New Orleans Police Department. She's already been suspended once, and things are about to get worse. Maureen is still on the right side of the law, if only barely, in Let The Devil Out, which finds this volatile cop on her worst behavior, using her month of disciplinary probation to beat down men who stalk and attack women leaving bars alone at night … Despite all the physical punishment Loehfelm’s rogue cop dishes out, there’s an air of cozy familiarity about this series. Here Maureen’s mentor, Sgt. Preacher Boyd, makes a welcome return visit, but villains like the local power broker Solomon Heath also rear their heads, as do their sociopathic offspring. That’s the thing about New Orleans: No one can bear to leave for higher, safer ground, not the evil men who prey on the city’s innocents or the decent folks who try to save them, and certainly not Maureen. [Maureen is] thrown right back into the investigation of a cop-killing, white-supremacist group, called the Sovereign Citizens, and must cooperate with the FBI—which no one in the department wants to do. Control is a big thing to Maureen, and she despises being seen as weak … Bill Loehfelm is a pro, and he manages to give just enough literary sensibility to appeal to those that love a little more meat to their thrillers, while keeping the pages turning with startling speed. Make no mistake, though, Maureen is the star of this show, dragging her tattered wings around a city that’s been through so much, and is still rebuilding—much like Maureen herself. On suspension from the New Orleans Police Department, thanks to fallout from the events of Doing the Devil’s Work, rookie cop Maureen Coughlin has been up to no good: pills, booze, and some very nasty vigilante work … Not only has Loehfelm created the most compelling, complex patrol cop in the genre—part take-no-prisoners badass, part too-sensitive-for-the street rookie—he has also reenergized New Orleans as a setting for the best in crime fiction, going well beyond the clichés (no Cafe du Monde here) and nailing that rich Treme vibe—edgy, dangerous, but pulsing with life. Maureen Coughlin is as good as it gets. What did you think of Let the Devil Out?